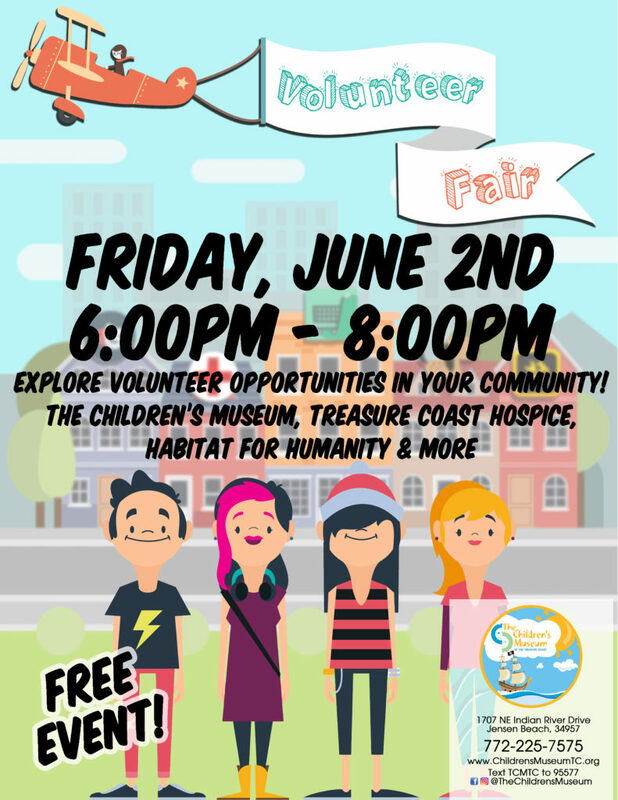 Visit the Children’s Museum for an event filled with Volunteer opportunities in our Treasure Coast community! The event is FREE! Ages 13 & up are welcome to attend. You’ll be able to meet with different non-profit organizations in our area that YOU can volunteer with! If you plan to volunteer for The Children’s Museum this summer we will having “express orientations” during the event! It will be your last chance to get your mandatory orientation completed and set your volunteer schedule. Whether you need volunteer hours for your school or for yourself, we will have something for you!